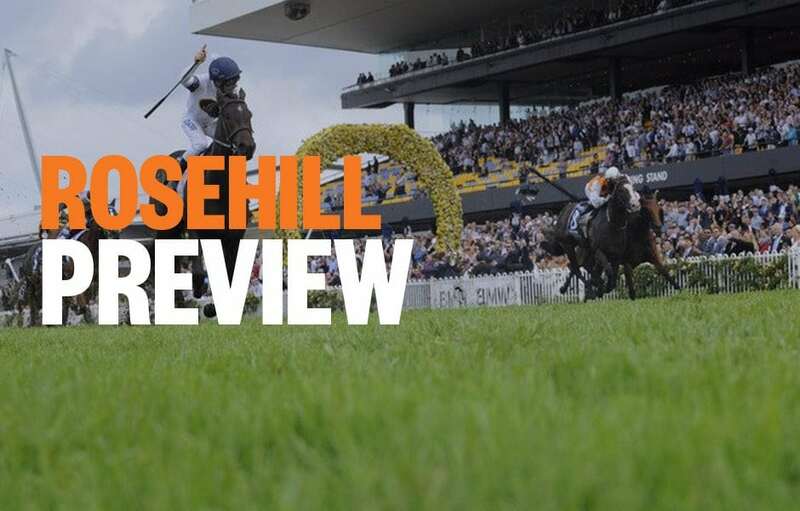 Form student, RIC CHAPMAN, previews Saturday’s Rosehill meeting, with horse racing tips and analysis for all nine races on the card, including the Group 1 Golden Slipper. Good luck, punters! Big weight for SHE KNOWS who seems to be back to her best. Stormed home from off the pace similar race last start for 2nd placing. Perfect draw here and has Hughie on board. AVANTAGE must be considered. She is New Zealand’s best 3YO filly and has already won at Gr 1 level. First start here for 6 months and first Aussie run but must be a threat if the money starts to come in. RESIN is reliable and generally hustles home hard. Made good ground when resuming this grade last start when 3rd. Fitter now. GEM SONG is just so honest and has won 4 of his 6 starts, placed the other pair. Has won at Gr 3 level too. Will settle down midfield and make his usual strong charge, off what looks to be a hectic pace. JONKER ticks a lot of boxes too. He was solid for a good portion of a similar race when resuming and was just fading late for 3rd. Fitter now. Off this draw he could actually lead and make a mess of these. Boom horse CLASSIQUE LEGEND is put to the test here. He’s unbeaten but his runaway wins have been in restricted grade. Deserves shot at this. Sits and explodes like a really good horse does. Good race. BIG DUKE is a classy stayer on his day and is 3rd up here. Ran a great 2nd when resuming. Loves this journey. Terrific contest. VIN DE DANCE is a class act from New Zealand and he’s in form. Watch betting as he might be a fair bit better than these. ETYMOLOGY has drawn well, is in form and staying really well this time up. Big show. Well, THE AUTUMN SUN on a heavy track and having his first go at 2000m. If this Kiwi invasion is ever to dent his enormous reputation it is in this race. But saying that, he looks like he wants this journey and he is a superstar, let’s not forget that. MADISON COUNTRY ran 4th to him last start on his Aussie debut and came home his last 400m in the same time. Looks to have settled in and will be running home late. SURELY SACRED is a top Gr 1 performed Kiwi and those types are always hard to beat in Sydney. Respect. Local horse DEALMAKER is better than a lot of people think. Home track here, is very fit and he will be rushing home very late. Is stablemate to The Autumn Sun. WINX thrashed Kermadec to win this race in 2016. She then mauled Le Romain by 7 lengths same race a year later. Last year she swamped poor old Happy Clapper to claim her 3rd rendition and finds herself here in probably the easiest race she has been in for the past 4 years. Wins by 8 lengths. Placings probably will be RINGERDINGDING, LAND OF PLENTY and SO SI BON. ALMANDIN was beaten 10 lengths when resuming in the Australian Cup last start. But…he loves Sydney this time of year and is very good in the wet. Expect improvement. AVILIUS ran an average race last start when close up 5th in the Gr 1 Australian Cup. No doubt about it. He was there to win but only plodded last bit. Is a much better horse in Sydney. HE’S EMINENT is the one to watch. He is bred in the purple being by Frankel and is an entire – meaning a Gr 1 win is what they desperately need and want. Is a Gr 3 winner in England, a Gr 2 winner in France and is a Gr 1 placegetter in Ireland. Has impressed with his workouts at Canterbury since being in Australia and was 4th in the Gr 1 English Derby. Will test these. UNFORGOTTEN is a brilliant staying mare and is the local horse most likely. Great race. Can Godolphin go 1 2 3 4 5? Every chance, although YES YES YES looks very, very good too. During the week Darren Beadman revealed MICROPHONE is Godolphin’s best chance. But I rather think this TENLEY is untapped and that LYRE and KIAMICHI are very, very good too. If Kiamichi gets loose on the lead in the mud, she could steal this at $51. But Tenley has a paralysing finishing burst. Great contest this year. Lyre won the Gr 1 Blue Diamond and has been working brilliantly. Very even field. The weight scale makes it fascinating. Is Redzel, the ageless brilliant warhorse able to give everyone weight and win? Maybe not but he will run very bravely. PIERATA is strong late and has proven up to this level. Is 2nd up and loves this track. GRAFF ticks every single box and actually looks a good thing to me. Will be in the box seat throughout from this gate, and is explosive late. KAEPERNICK also gets back and runs on and seems well in at the weights. Was doing best work late when 4th in the Challenge at WFA and meets all of them much better at the weights. Even field which makes it tough to work out in the mud on a track that will be massively chopped up. LUSKINTYRE LASS probably leads and is getting better with racing so should take catching. But ALL TOO SOON, who races very well this track, and SEMARI are strong finishers who will make it interesting. I’M A PRINCESS is the dark horse as she can run when her mind is on the task. There are no responses to this article, why not be the first?